Now Kylie is my pumpkin fanatic so when she found out Bentley could have dog treats made with pumpkin she was on a mission to make him happy. 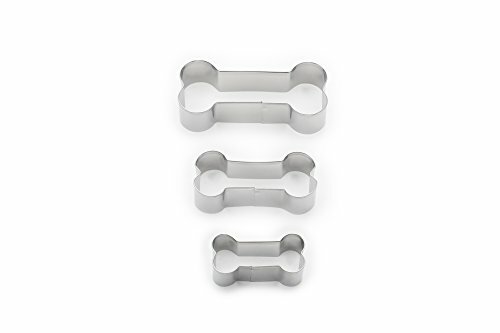 That she did, she was so excited when we found some cute little cookie cutters shaped just like the little dog bone treats. I am sure in the future we will be making more treats since the dog devoured these! Preheat your oven to 350 degrees! 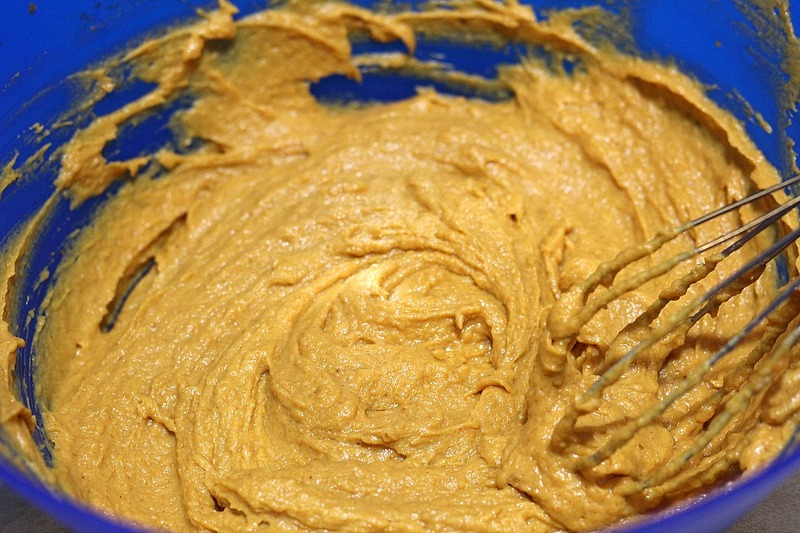 In a bowl mix together your egg, peanut butter, and pumpkin. I let Kylie use my hand mixer to do this. Now you could do everything at once but I wanted her to see what the flour did to thicken up the mixture. 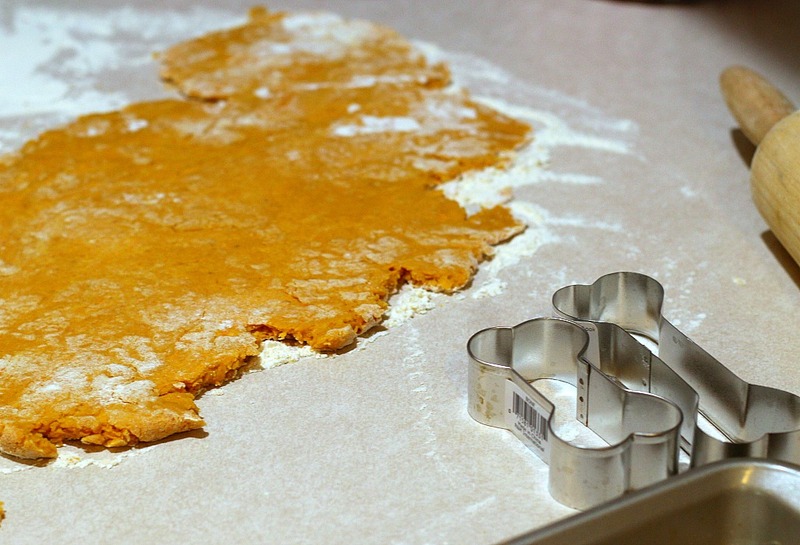 Once your wet ingredients are mixed slowly mix in the flour. We put in a cup then added in 1/4 cup each time, we ended at about 2 1/8 cup of flour so just watch the thickness of your dough you want this like a sugar cookie dough. 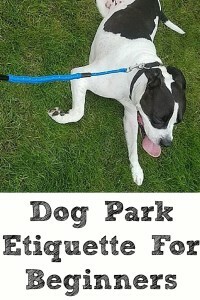 Allow to cool off and share the treats with your dog! Kylie tried a bite of one and liked them! 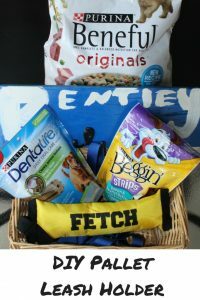 As you can tell Bentley was excited to try out the treats and loved them as well! 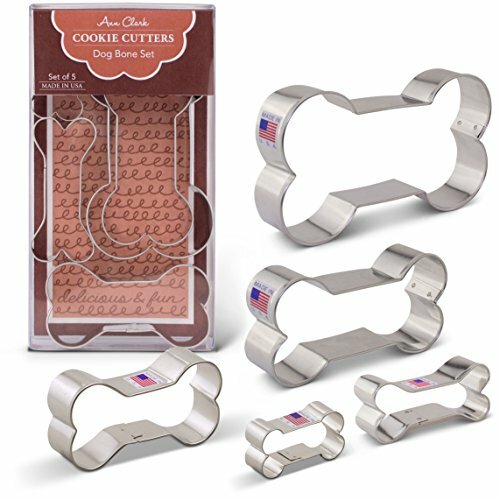 Have you made dog treats before for your dog?? What did you make?? 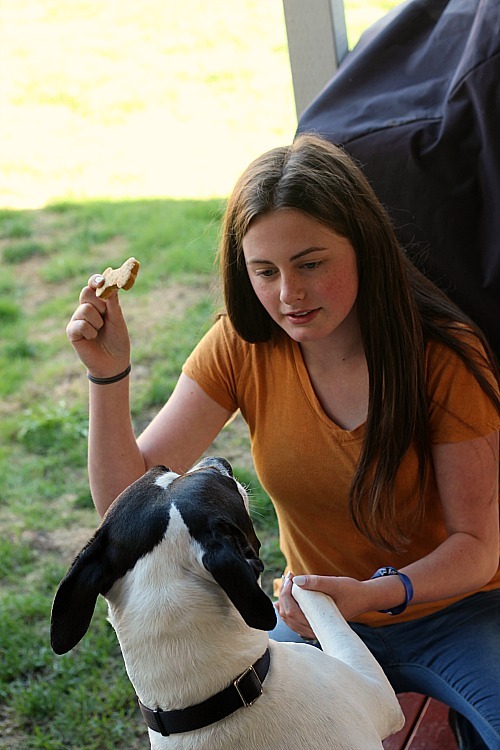 Now for the proof that Kylie tries all of his food, she sampled a dog treat while we were camping from a store to make sure it was good enough for him! 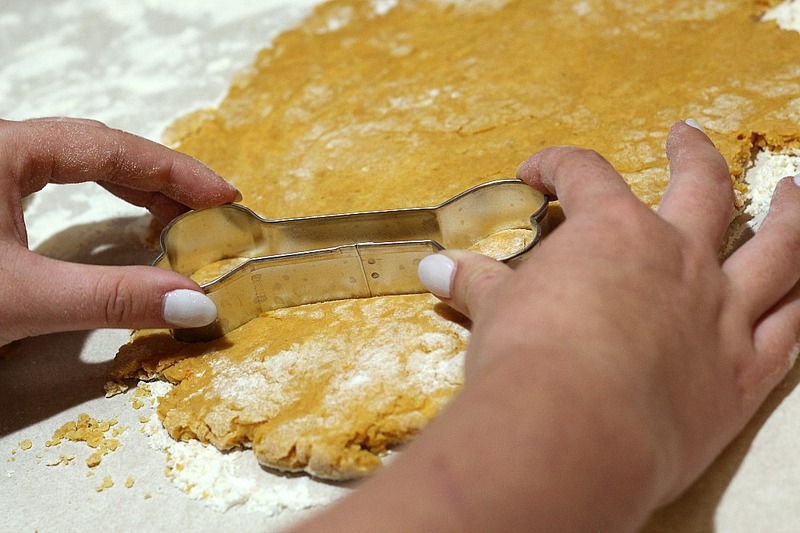 This easy Pumpkin Dog Treat Recipe is perfect to make for your dog! With only four ingredients they are also super quick to whip up a batch. Do you use white flour or wheat? Are these crunchy or soft ? My dog will only eat crunchy treats. Also , do they need to be kept in the refrigerator ? 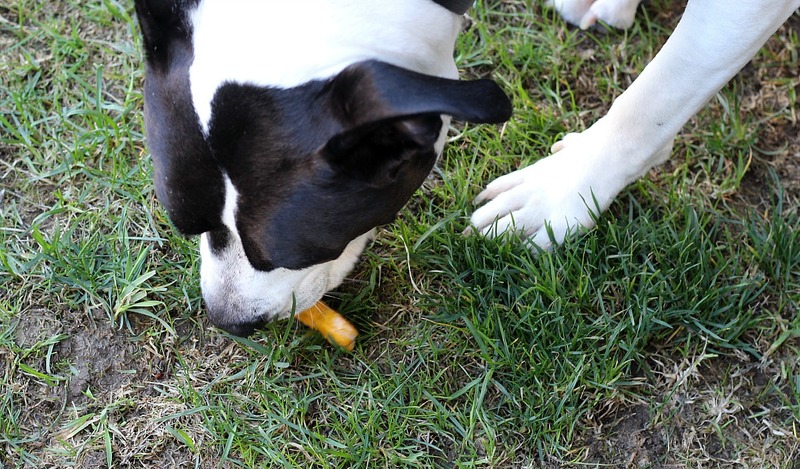 Ours turned out crunchy which worked out since that’s what our dog prefers as well. I kept them in a bag on the fridge and he hasn’t reacted. 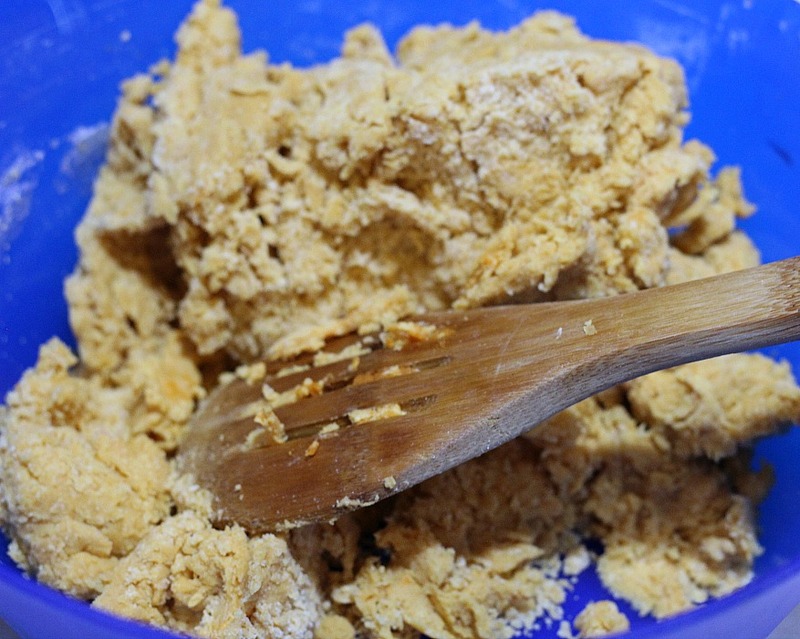 My dog has many allergies, like wheat, and eggs, so let people know when making dog treats they can use oat flour and 1 THIRD CUP OF Unsweetend apple sauce for every egg the recipe calls for. Thanks for the alternative to wheat flour. Where can you buy oat flour? I put oats in my blender and made my own flour. My granddaughter has to have everything given free. Auto correct! Gluten free not given free. Please edit to use only natural peanut butter with no salt added. The excess salt can be harmful to dogs. 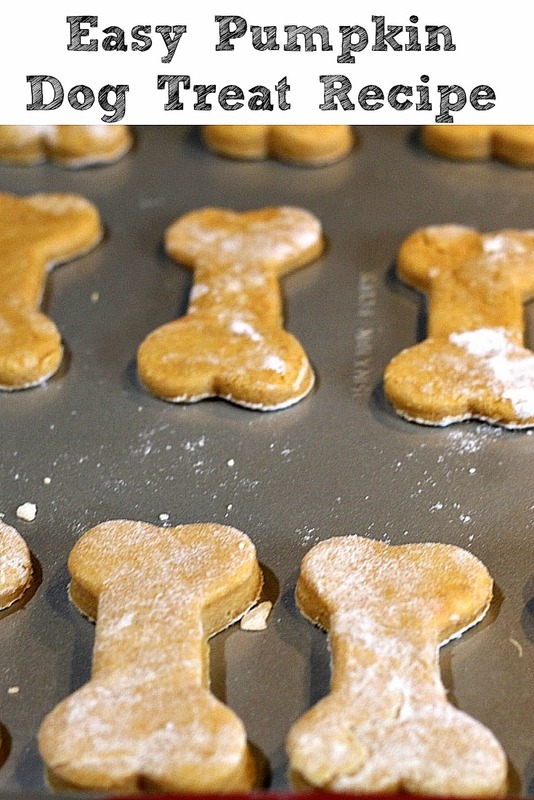 I make peanut butter dog treats all the time for my “pack” too! It’s not about the salt or being “natural”. It’s about xylitol. That’s what you DON’T want in the peanut butter. Natural isn’t always healthier. 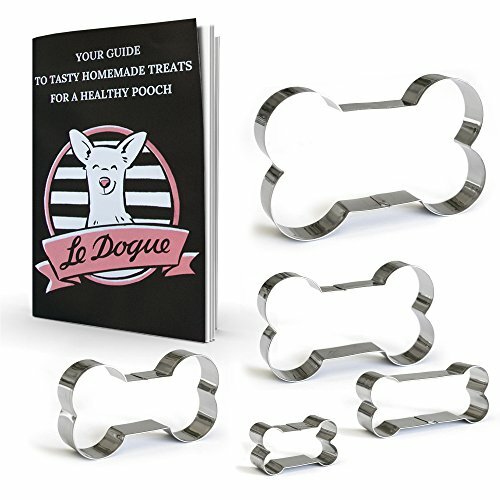 Do you have any diabetic friendly recipes for dog treats? I know coconut flour is good for dogs with diabetes. Would you recommend those for cat treats as well. I have 4 and the treats are getting to be too expensive for me. Will this Kill fleas on my cat? I know grind pumpkin seeds are for fleas. I am not sure. I have never heard of that before. No, it will not kill fleas. Neither will ground pumpkin seeds. The only 100% guaranteed way to get rid of fleas on a cat is a product like Advantage or Frontline (Advantage works best). Talk to your veterinarian about your cat’s flea problem, it can cause serious issues if left untreated. Did you use All purpose flour? 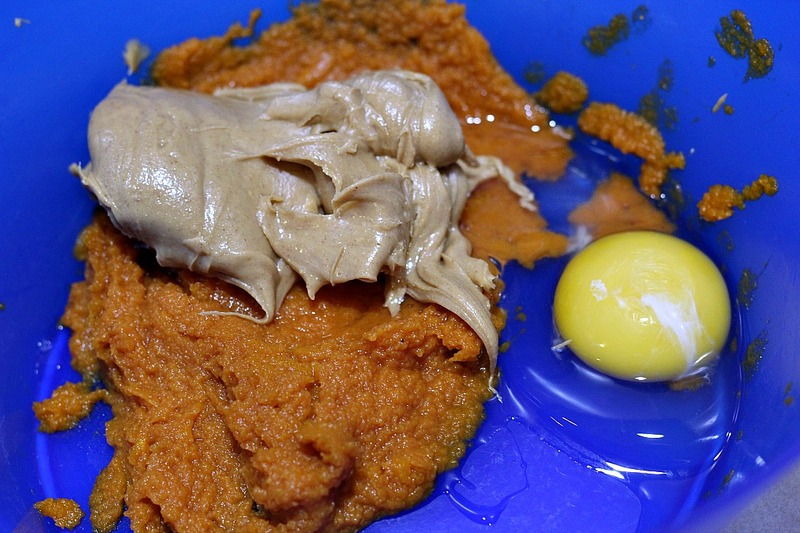 It’s pumpkin puree, correct? Not pumpkin filling?? Can you substitute crunchy peanut butter? Oh my gosh fixed that thank you! How long do they last? Do you keep them refrigerated always? How long will these keep? Do they have to be put in fridge? How long do the treats keep? 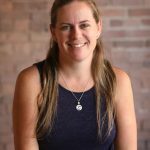 How fast is the turnover rate? Our dog went thru them in about a week. I would just watch for the freshness it depends on how fast you give your dog treats. I plan to try to freeze them next time.